· Doors open at 6pm. 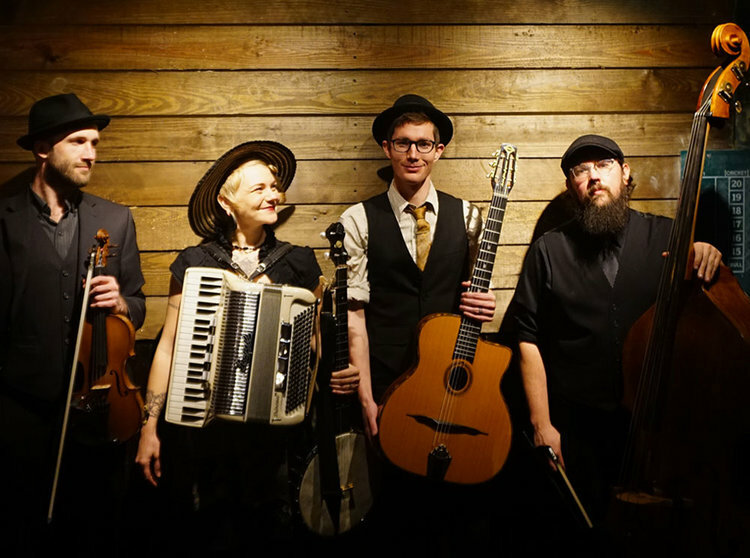 The Resonant Rogues craft fresh songs from a variety of vintage folk styles, featuring vocal harmonies accompanied by accordion, guitar, banjo, fiddle, and upright bass. With a passion for folk music that spans continents and oceans, the band is led by partners Sparrow and Keith J. Smith. The pair met in Asheville in the Autumn of 2012, and their instant spark lit a blaze that could not be contained. Since then, they have dedicated their lives to crafting and sharing their music, touring extensively around the world. The Rogues weave the threads of European, Middle Eastern, and American folk music together into a beautiful tapestry that simultaneously showcases tradition and innovation.